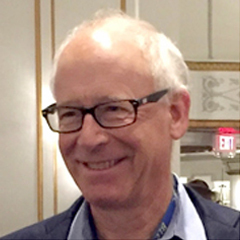 Alan November is an international leader in education technology. He began his career as an oceanography teacher and dorm counselor at an island reform school for boys in Boston Harbor. While Alan was a computer science teacher in Lexington, Mass, he was probably the first teacher in the world to have a student project on line in 1984, a database for the handicapped. He has been director of an alternative high school, computer coordinator, technology consultant, and university lecturer. He has helped schools, governments and industry leaders improve the quality of education through technology. 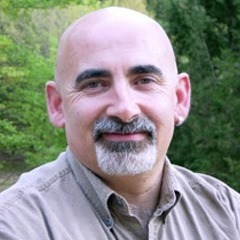 Dylan Wiliam is one of the world's leading authorities on the ways that assessment can be used to improve student learning and has authored or co-authored over 300 articles, books, and book chapters on education. After 7 years teaching English, mathematics and science in urban secondary schools in London, he joined Chelsea College,University of London, which later merged with King's College London. During his time at King's College London, he ran the mathematics teacher education programme, co-ordinated a large scale testing programme, served for five years as Dean of the School of Education and from 2001 to 2003, was Assistant Principal of the College. Ron Ritchhart spent years in the classroom as a teacher before joining Harvard Project Zero where he is now a Senior Research Associate. 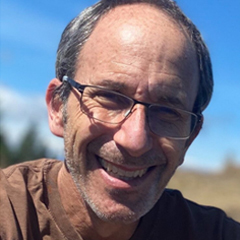 Over the past 16 years, Ron’s research has explored such issues as teaching for understanding, the development of intellectual character, creativity in teaching, and the development of thinking dispositions. 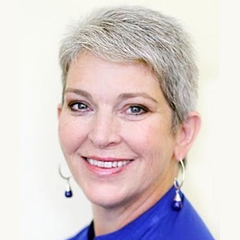 Dr. Lynn Erickson is a private consultant assisting schools and districts nationally and internationally with concept-based curriculum design and instruction. During the past twenty years Lynn has worked extensively with K-12 teachers and administrators on the design of classroom and district level curricula aligned to academic standards. 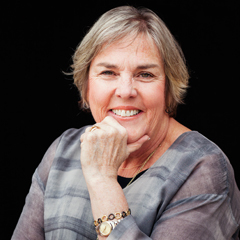 Kath Murdoch is an experienced teacher, author, university lecturer and popular consultant who has worked for many years in schools throughout Australia, New Zealand, Asia, America and Europe. She is widely respected for her work in the field of inquiry based learning and integrative curriculum in which she has taught, researched and published for well over 25 years. Carol Ann Tomlinson is William Clay Parrish, Jr. Professor and Chair of Educational Leadership, Foundations, and Policy at the University of Virginia's Curry School of Education where she is also Co-Director of the University's Institutes on Academic Diversity. 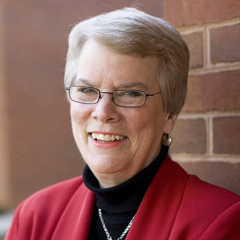 Prior to joining the faculty at UVa, she was a teacher for 21 years. During that time, she taught students in high school, preschool, and middle school and also administered programs for struggling and advanced learners. She was Virginia's Teacher of the Year in 1974. Jim Knight has spent more than two decades studying professional learning, effective teaching, and instructional coaching. He is a Research Associate at the University of Kansas Center for Research on Learning and the President of the Instructional Coaching Group. 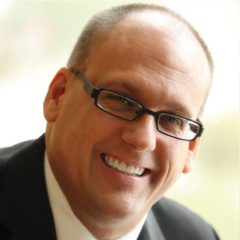 Dr. Douglas Reeves is a partner with Creative Leadership Solutions, a global consultancy. 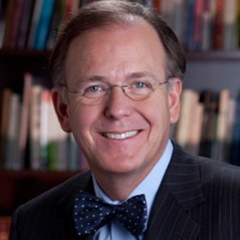 He has addressed audiences around the world on educational leadership and effective teaching. The author of more than 80 articles and 30 books, he was twice named to the Harvard University Distinguished Authors Series. 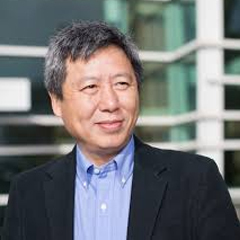 Yong Zhao is a Foundation Distinguished Professor in the School of Education at the University of Kansas. He is also a professorial fellow at the Mitchell Institute for Health and Education Policy, Victoria University in Australia and Global Chair in Education at East China Normal University. 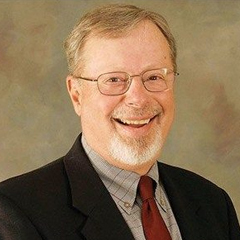 He previously served as the Presidential Chair and Director of the Institute for Global and Online Education in the College of Education, University of Oregon, where he was also a Professor in the Department of Educational Measurement, Policy, and Leadership. Stephanie Harvey has spent the past forty two years teaching and learning about reading and writing. She received her BA from the University of Denver and her MA from the University of Colorado. After sixteen years of regular elementary and special education teaching in the Jefferson County Schools in Lakewood, Colorado, Stephanie became a staff developer forthe Denver based Public Education and Business Coalition (PEBC), a partnership of leaders from education and business who support innovation in public schools. 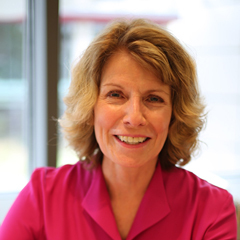 Debbie Miller is an experienced teacher, author, and literacy consultant who now works in schools across the United States and Canada. She is known for her work in the field of comprehension instruction, particularly in its application for children in the primary grades. Veronica Boix Mansilla is a Senior Research Associate at the Harvard Graduate School of Education, where she directs the Interdisciplinary and Global Studies Project. 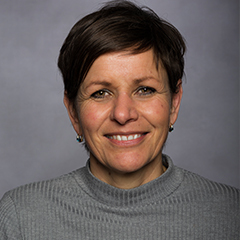 Drawing on cognitive psychology, epistemology and sociology of knowledge, her research examines the conditions that enable experts and young learners to produce quality interdisciplinary work and global competence addressing problems of contemporary significance. Veronica's group studies the challenges of evaluating interdisciplinary learning and research, programs and collaborations. I have learned one thing for certain during more than thirty years of experience leading Student Voice and Aspirations work: nothing is constant. At least this is true in regard to the actual implementation of our work and the organizational structure upon which it is based. Without doubt, the mission itself has always never waned. Jennifer Chang-Wathall is an independent educational consultant, author and honorary faculty adviser for the University of Hong Kong. 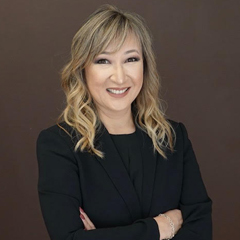 With over 25 years experience in the education field, Jennifer has worked in several international schools including South Island School, Hong Kong and The United Nations International School, New York and Island School, Hong Kong. 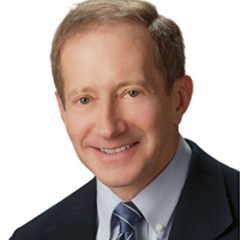 Thomas R. Guskey is Professor Emeritus in the College of Education at the University of Kentucky where he served as Department Chair, Head of the Educational Psychology Area Committee, and President of the Faculty Council. He has been a Visiting Professor at ten universities in the U.S. and a Visiting Scholar at universities in Australia, Canada, and New Zealand. A graduate of the University of Chicago, he began his career in education as a middle school teacher, served as an administrator in the Chicago Public Schools, and was the first director of the Center for the Improvement of Teaching and Learning, a national research center. 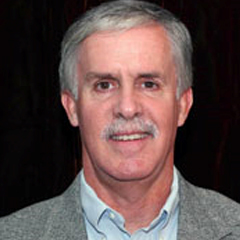 Jay McTighe brings a wealth of experience developed during a rich and varied career in education. He served as director of the Maryland Assessment Consortium, a state collaboration of school districts working together to develop and share formative performance assessments. Prior to this position, Jay was involved with school improvement projects at the Maryland State Department of Education where he helped lead Maryland’s standards-based reforms, including the development of performance-based statewide assessments. 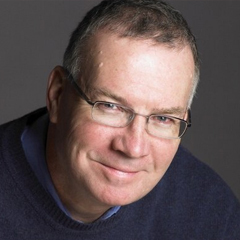 Ken O'Connor is an independent consultant who specializes in issues related to the communication of student achievement, especially grading and reporting. Through books & articles, presentations and working with small groups, Ken helps individuals, school and school districts to improve communication about student achievement. 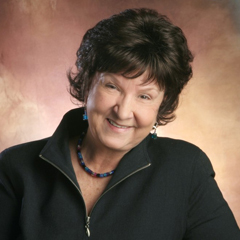 Lois A. Lanning, Ph.D., is an author and independent education consultant. She presents and works with districts at the international, national and state levels in the areas of literacy and Concept-Based Curriculum design. Her upcoming 2018 book, co-authored with Tiffanee Brown, is titled, Moving Literacy Beyond Skills to Understanding and Transfer: Designing Concept-Based ELA Lessons, Corwin Press Publisher. 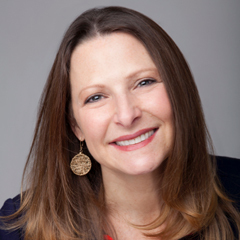 Jennifer Abrams is an educational consultant who specializes in new teacher and admin support, effective collaboration in a multigenerational workplace, and having hard conversations. 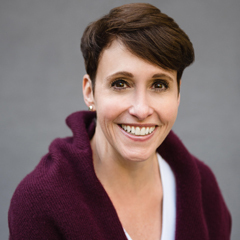 Jennifer's publications include Having Hard Conversations (Corwin, 2009), and The Multigenerational Workplace: Communicate, Collaborate & Create Community, (Corwin, 2013) and her upcoming book, Hard Conversations Unpacked – The Whos, Whens and What Ifs (Corwin, 2016). 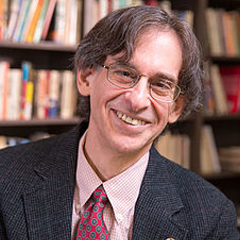 Alfie Kohn is an American author and lecturer in the areas of education, parenting, and human behavior. He is a proponent of progressive education and has offered critiques of many traditional aspects of parenting, managing, and American society more generally, drawing in each case from social science research. 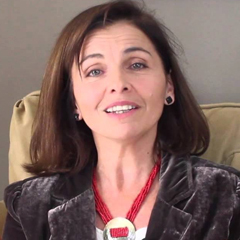 Fiona Zinn is an Education Consultant based in Australia. 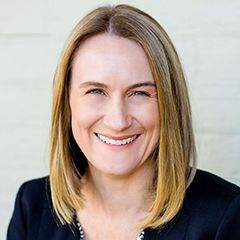 Drawing on 25 years experience in the early childhood, primary and tertiary sectors, Fiona works with educators around the world to boldly re-imagine early years pedagogy, curriculum and learning environments in response to research. Much of this work finds resonance with the educational project of Reggio Emilia but is also shaped by interpretation and experience across a wide range of contexts. 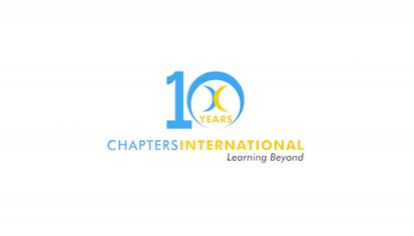 Educator and author Jan Chappuis has been an elementary and secondary teacher as well as a curriculum developer in English/language arts, mathematics, social studies, and world languages. For the past twenty-five years, she has written books and developed workshops focused on classroom assessment literacy. 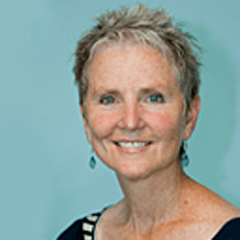 A respected expert and thought leader in the area of formative assessment, Jan has presented both nationally and internationally and is best known for her work in translating research into practical classroom applications. Rick Stiggins is the founder and retired president of the Assessment Training Institute (ATI), a professional development company created and designed to provide teachers, school leaders, policy makers, and communities with the assessment literacy they need to face the assessment challenges that pervade American education today. ATI is now owned by Pearson Education. 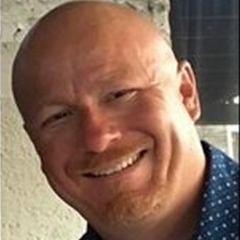 Mr. Trevor MacKenzie is a practicing high school English teacher, inquiry learning coach and consultant who works with schools and organizations in their adoption of inquiry. Trevor is the author of two books, Dive into Inquiry: Amplify Learning and Empower Student Voice c. 2016 EdTechTeam Press as well as Inquiry Mindset: Nurturing the Dreams, Wonders and Curiosities of Our Younger Learners c. 2018 EdTechTeam Press. 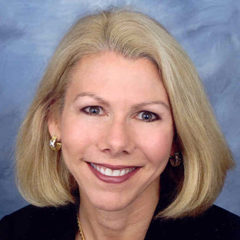 Dr. Fran Prolman is an internationally recognized consultant specializing in educational leadership, school improvement and instructional strategies as well as communication skills, critical thinking and organizational development. 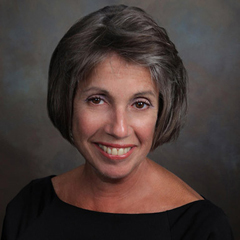 Fran earned her doctorate in teacher training and international education from George Washington University and a Masters degree in educational administration and curriculum and instruction from the University of Pennsylvania. She has been a two-time Fulbright Scholar in both India and Israel, and has presented numerous papers and workshops nationally and internationally. Martha Horn is a teacher of children and a teacher of teachers. She grew up professionally at a time when Donald Graves’ seminal research at the University of New Hampshire was changing the way we thought about how writing is taught in schools and she helped bring that change around the country—in particular, to New York City and Boston. She was part of the Teachers College Writing project at its inception, co-directed the Writing in Kindergarten Project with Mary Ellen Giacobbe in Boston Public Schools. From that work came their book, Talking, Drawing, Writing: Lessons for Our Youngest Writers (Stenhouse). Alexis Wiggins is the founder and director of CEEL – the Cohort of Educators for Essential Learning. 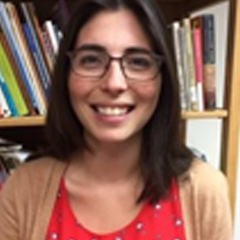 She has worked as a high-school teacher and instructional coach in the U.S., Spain, the Middle East and Asia and has consulted with schools all over the world, helping them utilize Spider Web Discussion, Understanding by Design (UbD), and the IB's Approaches to teaching and learning (ATL). Child centred learning has been Anne's passion for more than 25 years. Anne has worked in schools in the Netherlands, China, Singapore and Switzerland, where she took on various positions such as team leader, PYP coordinator and director. Anne used to work at the Canadian International School (Singapore) where she was part of the team that took the school to IB authorisation Anne has been an IB workshop leader since 2005, sharing her passion for young children and play with educators in international schools. Dr. Rojas conducts professional training on effective programs and strategies for English learners from pre-school through grade 12 for ESL (EAL) and classroom teachers. She has worked with over 300 international schools on language education policies, programs, and instructional practices. Dr. Rojas specializes in developing academic English as an Additional Language (EAL) and in providing access for English learners through teacher collaboration and effective instructional practices for teaching English learners in mainstream classrooms. She provides professional development sessions, job-embedded coaching, demonstration lessons, and conducts linguistic audits of ESL/ EAL programs. A nationally-recognized presenter, author, and humorist, Jack Berckemeyer, began his career as a middle school teacher in Denver, Colorado. After two years of teaching he was named as an outstanding educator at his school, and shortly thereafter he was identified as one of the outstanding educators in the district. In 2003, he received the Outstanding Alumni Award from the Falcon School District. Jack brings his energy, humor, and expertise to all staff development as he helps teachers and administrators remember why this job makes a difference. 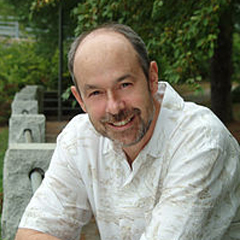 Ralph Fletcher has been a mentor to teachers and young writers everywhere. 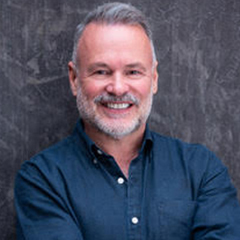 He frequently works with young writers in schools, and speaks at education conferences in the US and abroad, helping teachers find wiser ways of teaching writing. Ralph is the author of many bestselling teacher professional books including Writing Workshop: The Essential Guide; Craft Lessons; What a Writer Needs, 2nd edition; and Boy Writers: Reclaiming Their Voices.His most recent professional books include Joy Write: Cultivating High-Impact Low-Stakes Writing (April 2017) and The Writing Teacher’s Companion: Embracing Choice, Voice, Purpose and Play (July 2017). Kathy Collins works in schools and presents in conferences all over the world to support teachers in developing high-quality, effective literacy instruction in the early childhood settings through middle school. She is the co-author, along with Janine Bempechat of Not This But That: No More Mindless Homework (Heinemann, 2017). She co-authored, with Matt Glover, I Am Reading: Nurture Meaning-Making and Joyful Engagement with Texts (Heinemann, 2015). 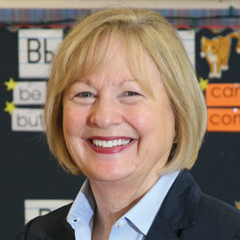 Kathy's other books include Reading for Real: Teach Children to Read With Power, Intention, and Joy in K-3 Classrooms (Stenhouse, 2008) and Growing Readers: Units of Study in Primary Classrooms (Stenhouse, 2004). 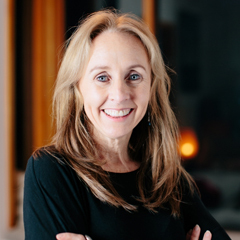 Kathy has worked closely with the Teachers College Reading and Writing Project at Columbia University, and she taught in Brooklyn, New York. Kathy and her family live in Durham, New Hampshire. 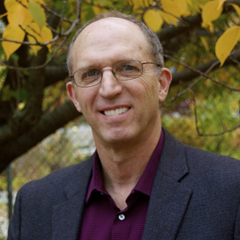 Dan Rothstein is co-author with Luz Santana of one of Harvard Education Press’ all-time bestsellers, Make Just One Change: Teach Students to Ask Their Own Questions. The book first introduced the Question Formulation Technique and led to its enthusiastic adoption by over 300,000 teachers in countries all over the world. Dan’s work focuses on honoring and supporting the work of educators who are driving a movement in urban, suburban, and rural communities, in independent schools, and in private and public institutions of higher education to help all students learn to ask better questions and take more ownership of their own learning. 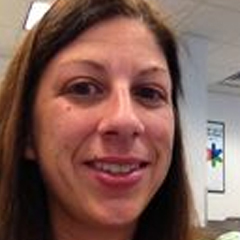 Sarah Westbrook is a former high school English teacher who is now RQI’s Director of Professional Learning. During her seven years of teaching in Boston area public high schools, Sarah developed a deep appreciation for the innovative work educators do every day for students that often goes unseen and unrecognized. Kimberly, author of Experience Inquiry, is an internationally-recognized speaker on student-driven learning and inquiry-based instruction. 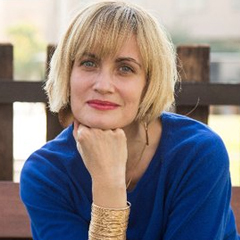 Her workshops and videos are well-known throughout the international school community, and she is praised for her “accessible, engaging, and practical” approach to inquiry. 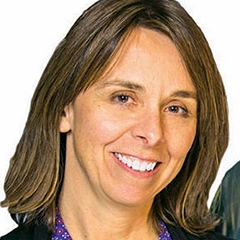 Kim Bane is an international education consultant who, along with her colleagues at Pathways to Inclusive Education, works with schools across the globe to design and implement inclusive educational practices that support the needs of all learners. 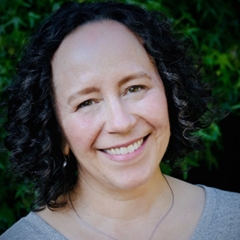 Kelly Miller is a Board Certified Behavior Analyst, Licensed Clinical Social Worker, and Autism Consultant. Her practical and hands-on experience spans two decades, including mental health and school settings. 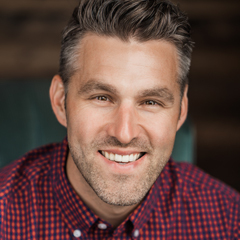 With experience as a teacher, coach and administrator, Jason Hicks is dedicated to supporting mission-driven organizations develop capacity as highly collaborative learning groups. 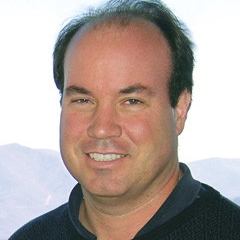 Matt Glover has been an educator for over 30 years, as a teacher, a principal, author and consultant. 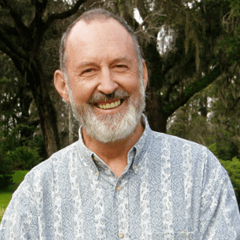 He is the author and co-author of several books on teaching writing and reading including Projecting Possibilities for Writers. 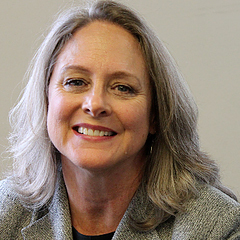 Susan Harris MacKay is currently the Pedagogical Director of the Portland Children's Museum and Opal School. She has a degree in English from Vassar College and an MAT from Lewis and Clark College. As Director of Professional Development, Matt Karlsen supports Opal School's mission to use learning experiences in its small lab in Portland to transform educational opportunities around the world. 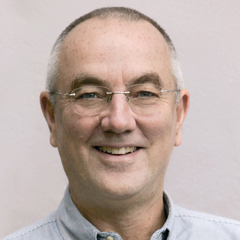 Guy Claxton is a cognitive scientist with a long-standing passion for bringing the mind sciences to bear on the improvement of schools. His main research interest is in the expandability of human intelligence in all its forms: intellectual, practical, social, emotional and spiritual. 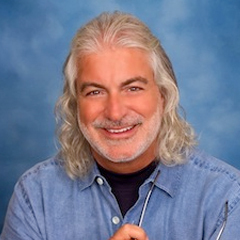 Paul Andersen is an educational consultant and YouTube creator living in Bozeman, MT. 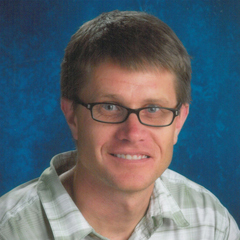 Paul is an experienced educator having taught science in Montana for 20 years. Paul was the 2011 Montana Teacher of the Year, and was also one of four finalists for the 2011 National Teacher of the Year. As the demography of international schools continues to change with the result that every classroom has more English learners than ever before, it is necessary to turn the often-heard mantra. In this two-day, interactive workshop, participants have opportunities to clarify and enhance their understanding of readers’ workshop. The Cultures of Thinking Project is a global initiative under the direction of Dr. Ron Ritchhart, a Principal Investigator and Senior Research Associate at Project Zero, Harvard Graduate School of Education. Trevor MacKenzie deepens our understanding of inquiry-based learning at the middle and high school years. In this highly engaging session, Mr. MacKenzie will challenge your mind to rethink the role of the teacher and the learner in the inquiry classroom. Differentiated Instruction is an approach planning instruction that takes into account both content requirements and the needs of varied learners in a classroom. Diversity is a hallmark of most contemporary schools. Students represent a variety of languages, cultural groups, economic backgrounds, levels of adult support, learning issues, degrees of academic advancement, and so on. In this practical workshop, participants have the opportunity to clarify their understanding of what it really means to use an inquiry based approach to teaching and learning in the primary/elementary classroom. For many years, most teacher education programmes included substantial coverage of theories on the psychology of education. There is now a large and growing evidence base that helping teachers develop their use of minute-to-minute and day-by-day assessment is one of, if not the most powerful ways to improve student learning. Everyone knows what the Holy Grail of education is: schools and classrooms that help all students get the best grades they can AND build genuinely useful, transferable real-world capabilities and dispositions at the same time. Medical products are required to disclose both their intended outcomes and known side effects. Educational policy and practice, however, carries no such labels. Join us for a highly-engaging, practical and interactive four-day institute designed to build your mid-level leadership. There has been growing interest in ‘personalised learning’ for many years now. Increasingly, schools are making arrangements to provide more opportunities for learners to learn to be self-directed and to have their needs and interests met through the curriculum. For a great many teachers, an underlying tension can arise when we strive to be well-planned, yet we also want to infuse our reading workshop with an inquiry-mindset. The Next Generation Science Standards (NGSS) represent the largest conceptual shift in teaching science in decades. The addition of engineering design and an increased emphasis on the practices of science could revolutionize science education. Kimberly, author of Experience Inquiry, is an internationally-recognized speakeron student-driven learning and inquiry-based instruction.